Our mission is to rescue and rehabilitate abused, neglected and abandoned horses, ponies and donkeys, while campaigning for the better treatment of animals across Spain. We provide each rescued animal with a safe and loving sanctuary – either here at our centre or via rehoming – for the rest of their lives. Co-Founders Rod and Susan Weeding moved to Spain from England in 2001, aiming to slip into an easy sunshine-and-relaxation retirement. But all that changed in 2008 with Luceiro , a two-year-old stallion that Rod and Susan found locked in a filthy and dark stable, his left eye badly injured and rotting, hurling himself repeatedly against the bars of his stall as flies drove him crazy. Unable to walk away from such a distressing case of animal cruelty, they brought Luceiro home to their our own finca – and unwittingly created a much-needed horse rescue centre. Rod and Susan set up Easy Horse Care Rescue Centre near Rojales in the province of Alicante, along Spain’s Mediterranean coastline. They now care for more than 120 horses, ponies and donkeys saved from abuse and neglect, plus a menagerie of other rescued animals, including dogs, cats, parrots, chickens, geese, Ernie the turkey and Isadora the pig. We believe that when you love an animal, you fight to save it. They may be old crocks and broken down and disabled or whatever, but for the abuse they’ve suffered and survived, they deserve a second chance. 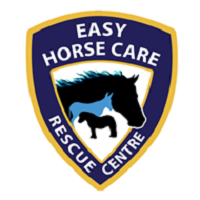 Easy Horse Care Rescue Centre rely 100% on donations to feed and care for all the equines at the rescue centre. They receive contributions from the general public and businesses as sponsorships and donations. Easy Horse Care arrange open days the first Sunday of every month between 1pm and 4pm. Entry to the open day is free. They can also arrange individual tours for groups and visitors. Email : rescue@easyhorsecare.net to arrange a visit.